These sterling silver Celtic stud earrings are Trinity knots that are festooned with marcasite stones. 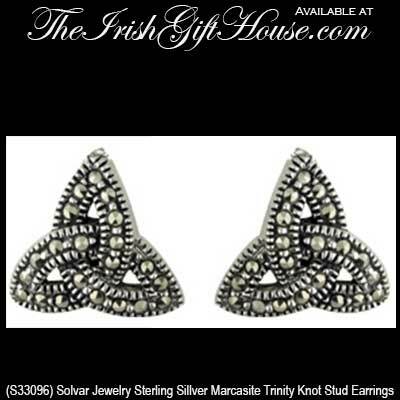 These Celtic earrings feature sterling silver Trinity knots that are studded with marcasite stones. The Celtic stud earrings, with butterfly backs, measure 3/8” wide x 3/8“ tall.